Home » Is your water cooler giving you problems? Is your water cooler giving you problems? Get your FREE UPGRADE right now, no contract, no smallprint just great tasting water – every time. 0% Risk, 100% Reward. 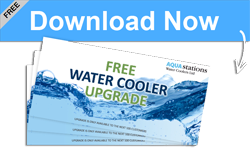 The only water cooler provider with no long term contracts AND free upgrades. We’ve been supplying businesses in Hertfordshire and London with fresh hot and cold filtered water for many years. We’ve heard the drips of leaky coolers across the country and we’ve seen people trapped by 3 year contracts. Ask yourself, if they are so confident with their service, why do they lock you into a long term contract? Now we’d like to present you with an alternative. No tie ins, no commitments, no long-term contracts. Not for 24 months, 12 months or even one. We supply instant hot or cold pure filtered water across London and Hertfordshire with deliveries every single day. If your circumstances change, you can walk away that very second. 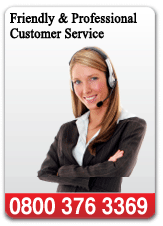 If there’s any issues, you’ll have a guaranteed response within 24 hours. Our next 100 customers will be receiving a free upgrade, so don’t miss out! Enter your details on the right to get yours – now. Supplying bottled water coolers in London and Hertfordshire, with no long term contracts.